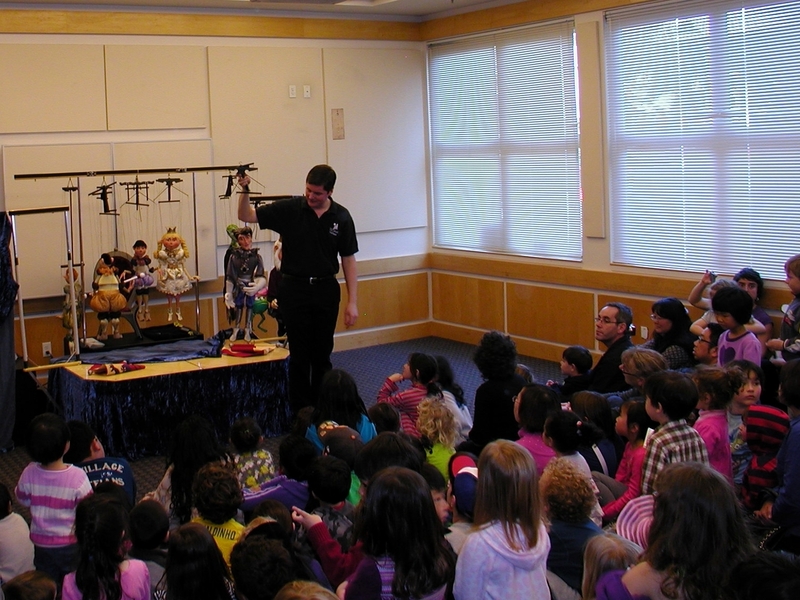 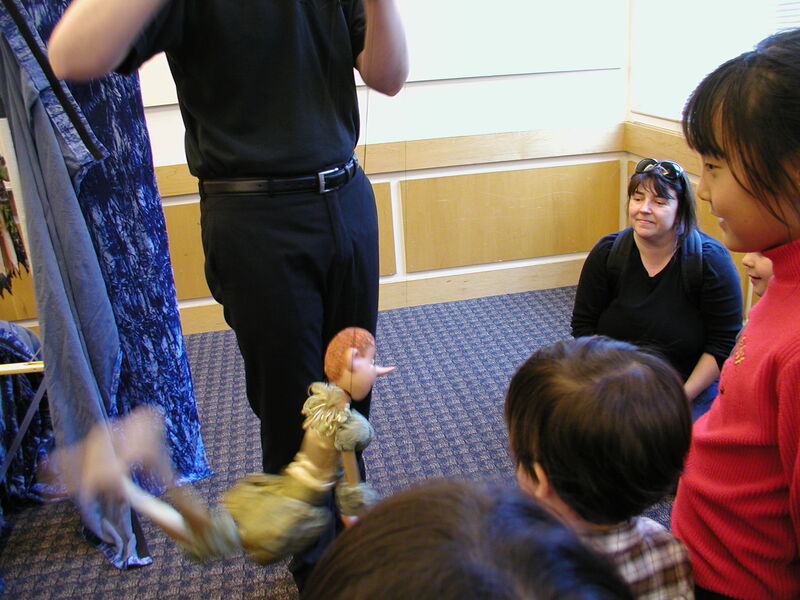 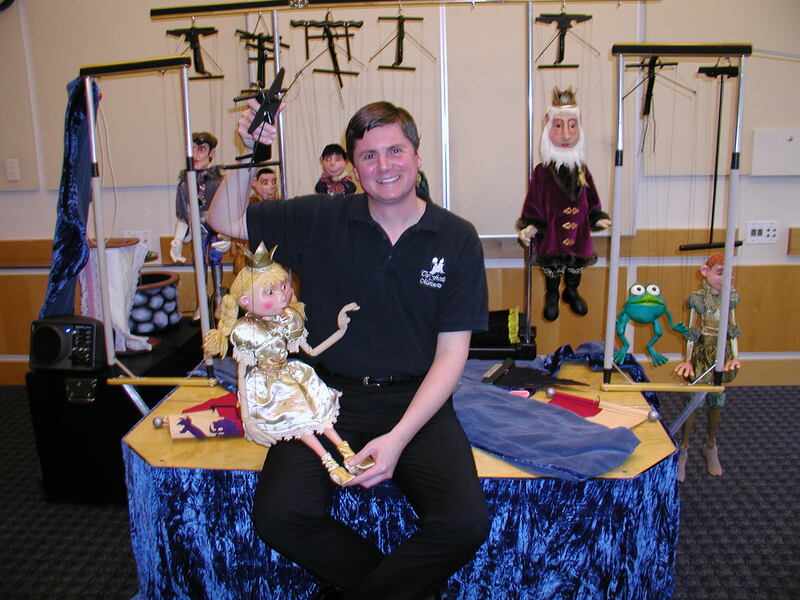 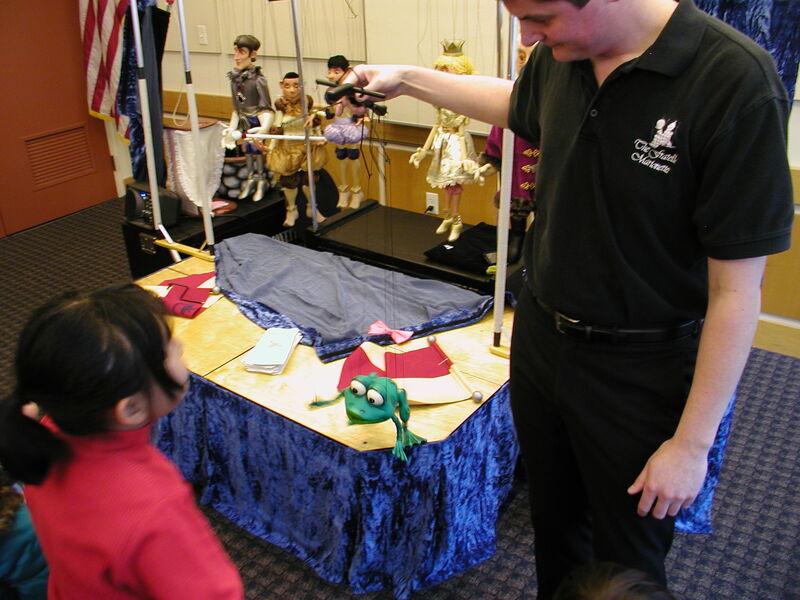 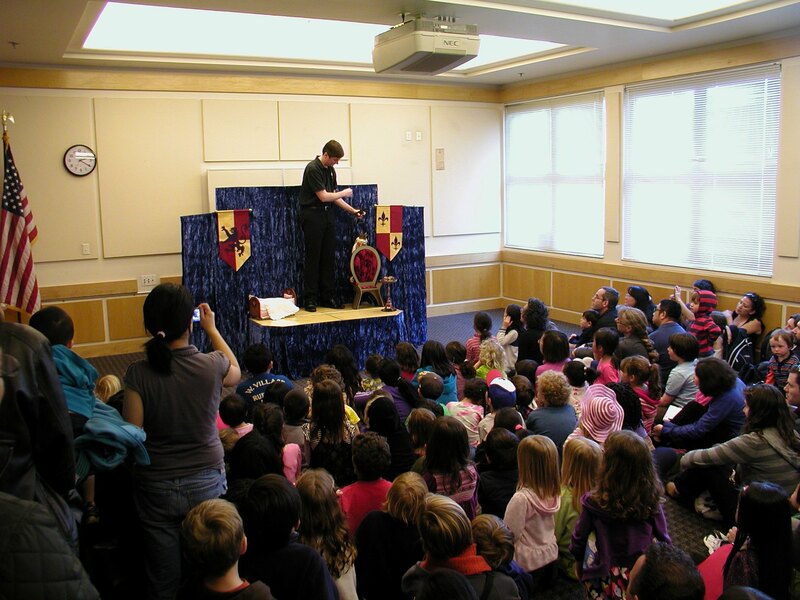 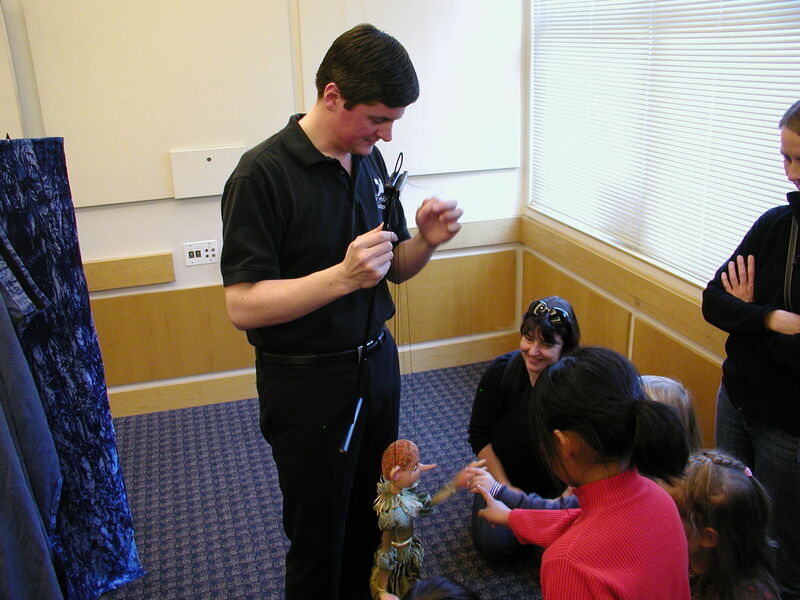 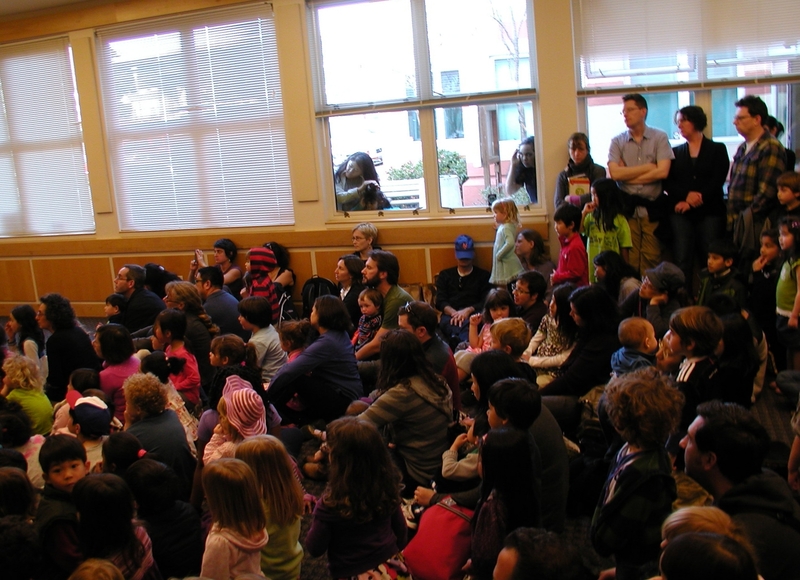 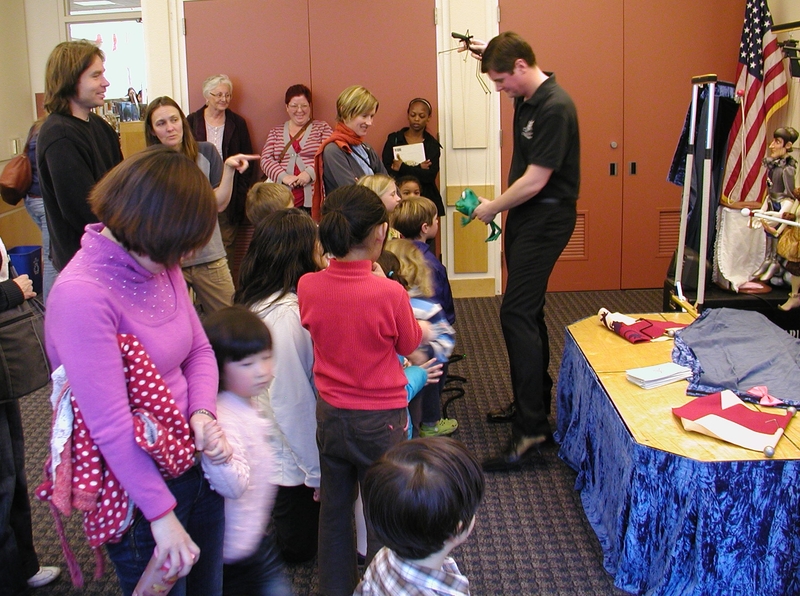 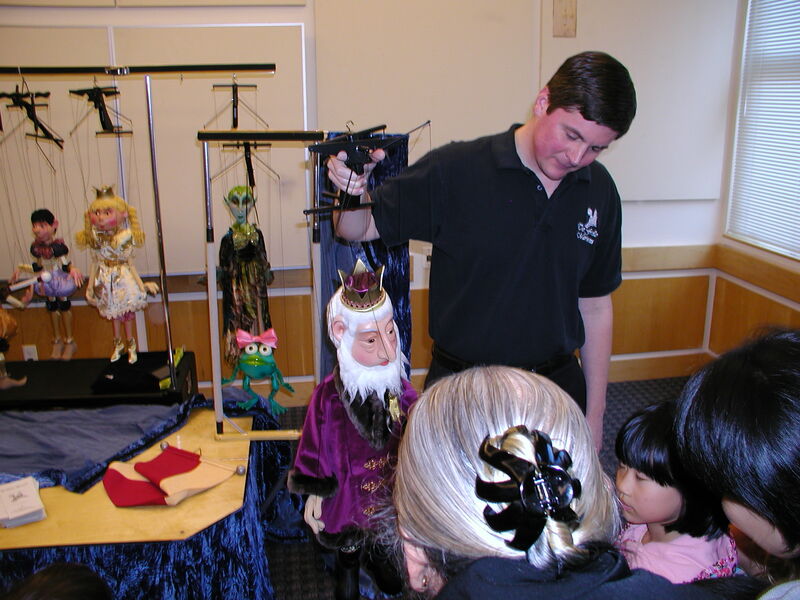 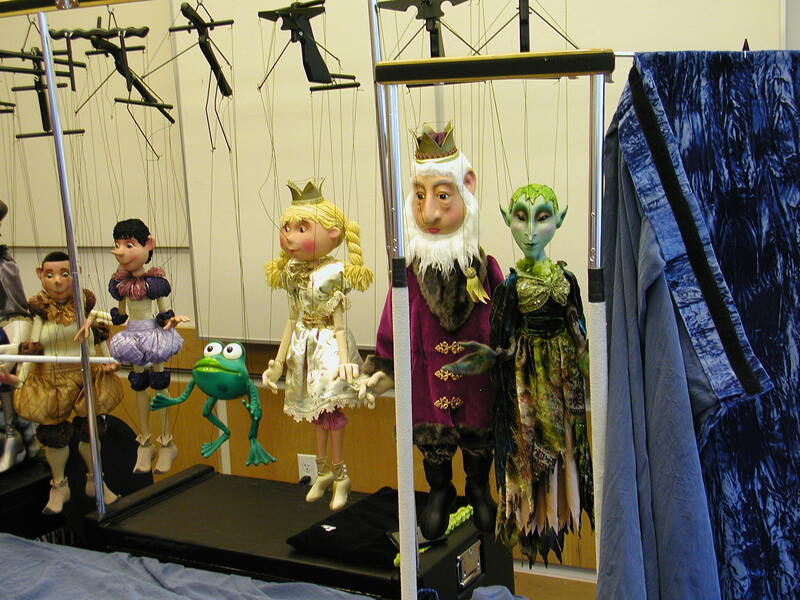 The Fratello Marionettes played to a FULL HOUSE this Saturday, entertaining droves of puppet fans with The Frog Prince. 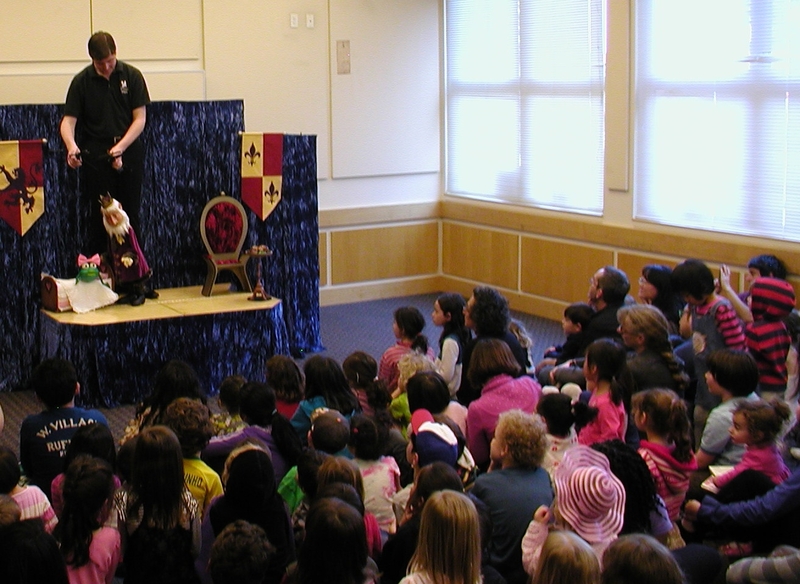 The fairy tale had a lovely sound track and lively dialogue–which always comes with a Fratello show. 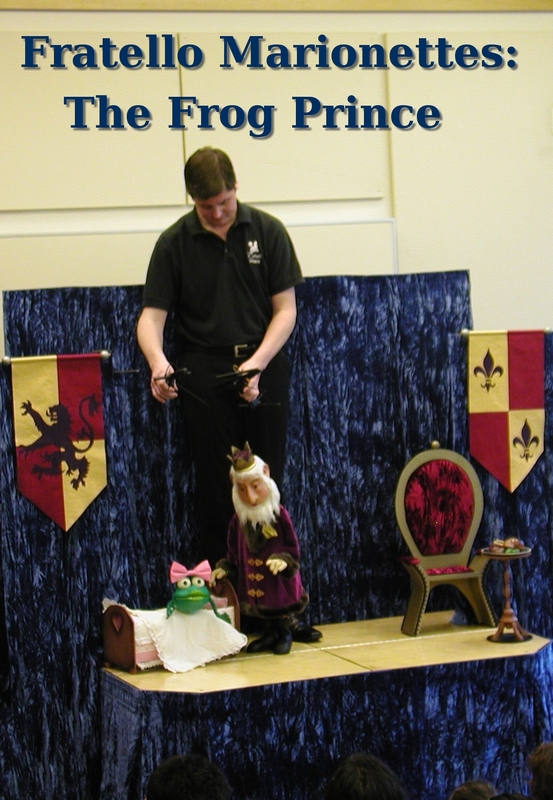 Boy, was Froggy cute! 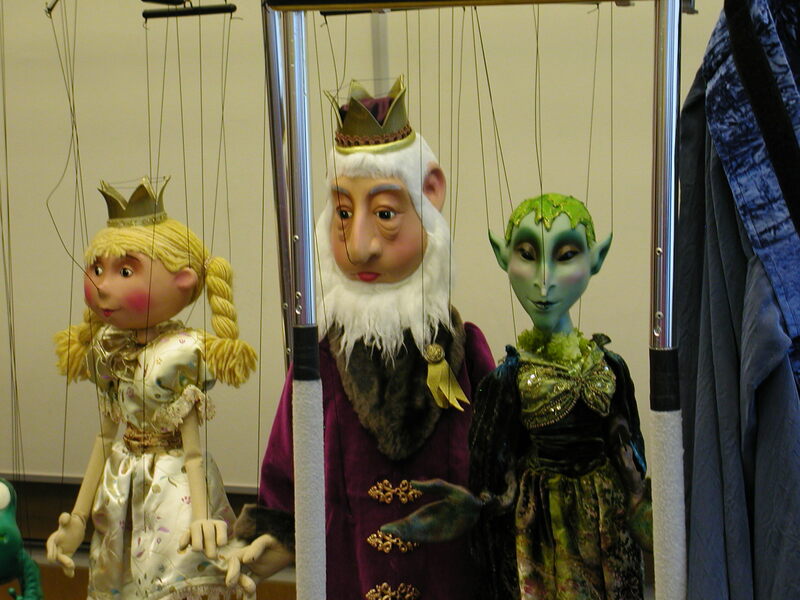 And the rest of the hand-made marionettes were exquisite. 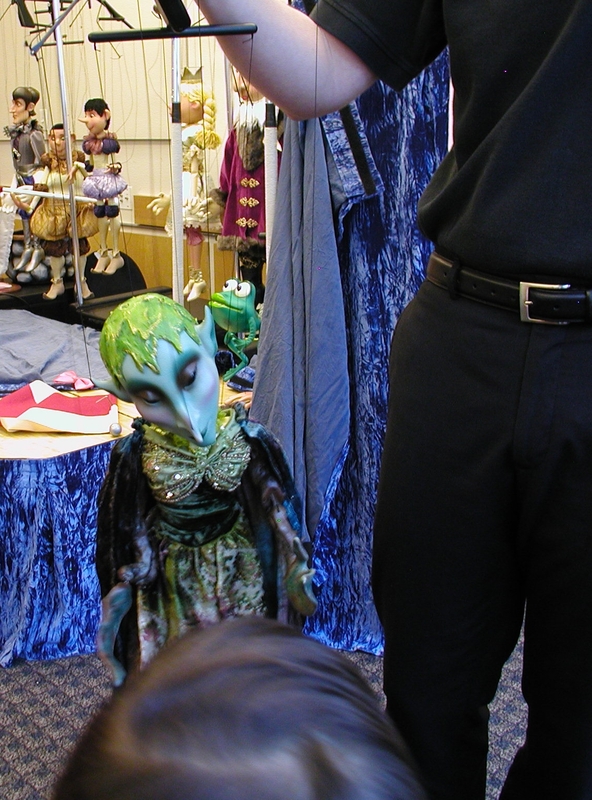 Check out the pictures below for close ups. 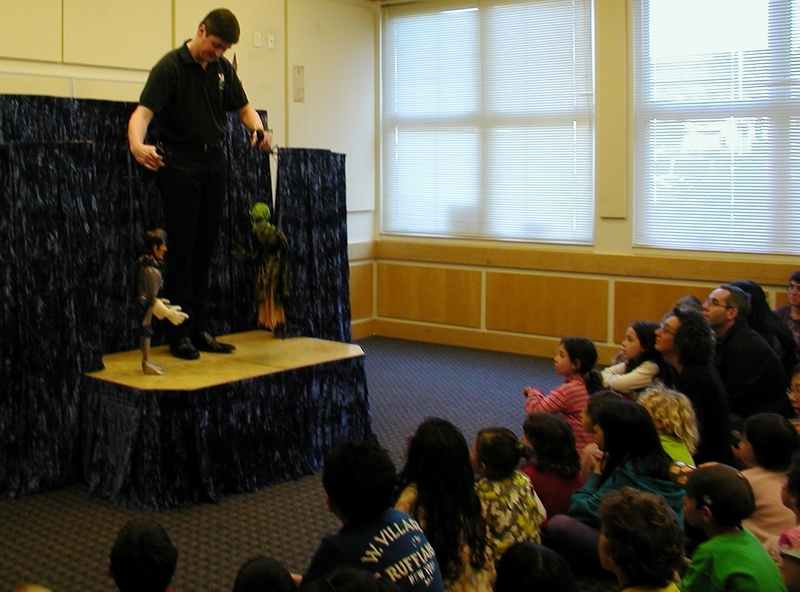 The audience was treated to an after-show lesson on how the puppets are made and operated.